The Harrington Times: Good-bye Dear Samcheon. It's been a Year! 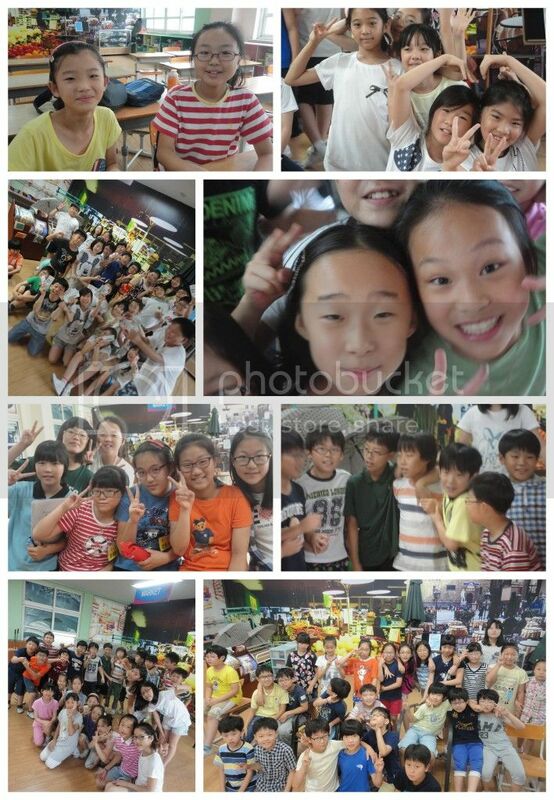 As July rolled around last summer, Melissa had the difficult and relatively unenjoyable task of saying good-bye to a number of dear students at both Seongcheon Elementary School and Bongam Elementary School. At that time, Melissa Teacher was nearly certain she'd enter the world of Korean middle or high school. However, mid-August 2011 revealed that Daejeon Ministry of Education had other plans and would be sending her to Samcheon Elementary School. From the moment she learned of this teaching assignment throughout the following year, Melissa Teacher has experienced the roller-coaster of emotions typical to working in South Korea. Frustration. Elation. Surprise. Apathy. Understanding. Anger. Gratitude. Quickly jumping into a 'couple friendship' with her dearest co-worker and her husband over dinner in celebration of Mike and Melissa's 4 year anniversary. Role-play days with 3rd and 4th grade students. 3rd and 4th grade students in general. Riding the bus home with Hyunhee after school; everyday, venting, dreaming, chatting. Meeting well-traveled students and being able to communicate well with them. Positive changes in my personal school hierarchy. Students and co-workers ensuring my joy on my Golden Birthday. Knowing that this friendship, is and has been and will be worth all the frustration and difficulty of the past year...even if she was only a co-worker for a semester, she's without a doubt, a friend for life.